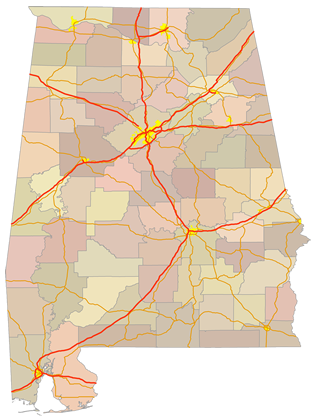 Sitemap to all pages covering the state of Alabama. Photograph contributions by Alex Nitzman, Andy Field, Brent Ivy, Carter Buchanan, Justin Cozart and others. Page Updated February 27, 2018.